THM:S, Low-carb, Sugar free, Gluten and nut free - a healthy version of the Jello pudding popsicles from your childhood! In a high-powered blender, blend all ingredients except the butter, vegetable glycerin, and vanilla. In a nonstick saucepan, cook the mixture until it reaches a slow boil, stirring often, especially toward the end so it doesn't stick. Take the pudding off the heat and whisk in the butter, vegetable glycerin, and vanilla. Use a funnel to pour the pudding mixture into popsicle molds and then transfer to the freezer until firm. Yields approximately 12 small-medium pudding popsicles. 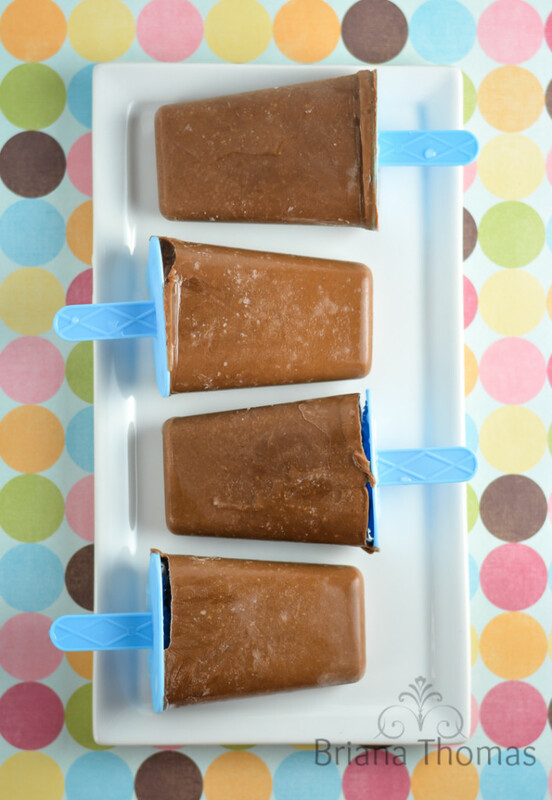 I changed the name to "Chocolate Pudding Popsicles" on 12.6.16, but the recipe is the same as before.